Thomas emulated former Saints wideout Joe Horn with his celebration, hiding the phone in the bottom of the goal post and pulling it out after scoring. 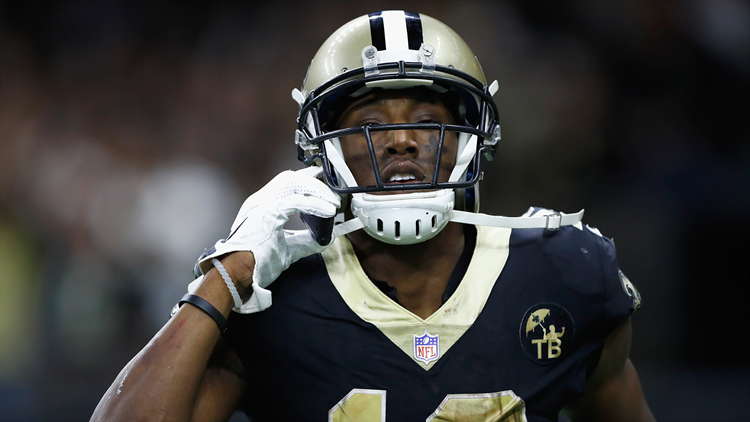 New Orleans Saints receiver Michael Thomas has been fined $30,000 by the NFL for using a phone as a prop for a touchdown celebration in last week's victory over the Rams. According to ESPN NFL Reporter Mike Triplett, the $30,000 fine is the same amount Joe Horn was fined in 2003. Saints WR Michael Thomas was fined $30,000 for using a cell phone as a prop and having a mobile device in the bench area — the same amount that Joe Horn was fined in 2003. Horn did it after celebrating a touchdown against the New York Giants. Thomas' touchdown brought the Saints’ lead to 45-35 with just over four minutes left in the game. The celebration resulted in a 15-yard penalty for unsportsmanlike conduct. Some of the above information provided by the Associated Press.